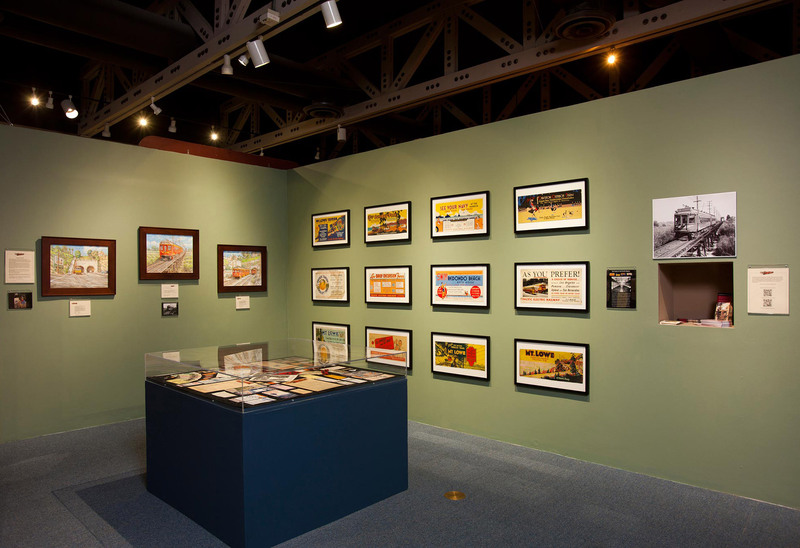 The Pasadena Museum of History is a private, nonprofit museum, which is mainly operated by a large group of volunteers. The museum is made up of the following four sections; the history art gallery, mansion tour, research library archives, and museum gift store. This paper seeks to investigate the various aspects of work practices that influence the staff’s work experiences. I look to understand how the social, technical and physical infrastructure of the museum engender or prevent the staff’s daily work experiences. I spent over two months of intensive research to document observations and conduct interviews from various perspectives. After analyzing the collected data, I find that a lack of funding created a negative organization outcome for the museum. This issue is the primary cause of pressures in the form of; conflicts of power dynamics, lack of worker’s efficiency/engagement, and limitation of exhibition creativity in the physical space. In addition, I provide design recommendations to address any pressures the museum experiences as of a result of a lack of funding. I employ a hybrid method of contextual inquiry investigation, from an ethnographic perspective, by observing, interviewing, and getting involved in the museum’s social arena. The purpose of this research method is to fully investigate a setting, with all the numerous complexities that inform how individuals experience a social and physical environment. The data collection process included two weeks of observation and three weeks of interviews. 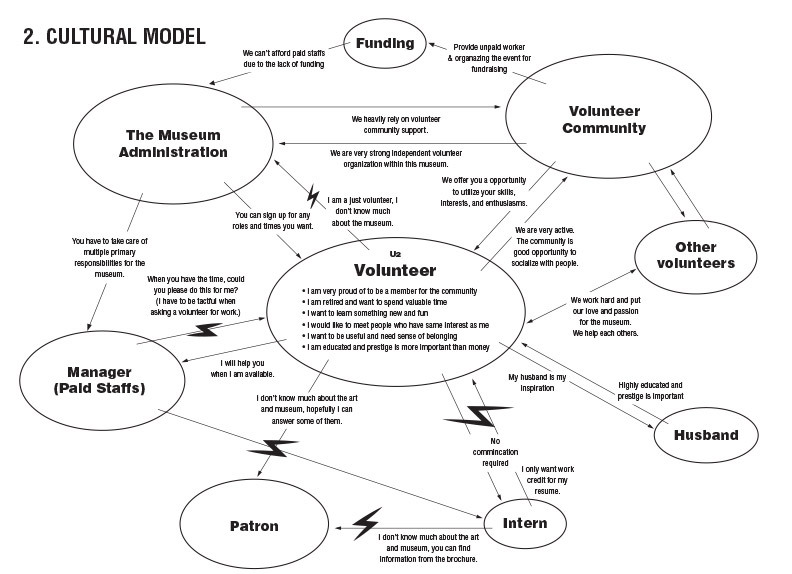 Based on the collected data, I created a contextual inquiry diagram models to ascertain the project focus for the museum. The first two weeks of observational sessions were focused on social and physical spaces, where I recorded ongoing behaviors in their natural setting. I observed different elements, such as, size, lightings, colors, sounds, objects, smells, physical characteristics, actor’s behavior, body language, and speech pattern. 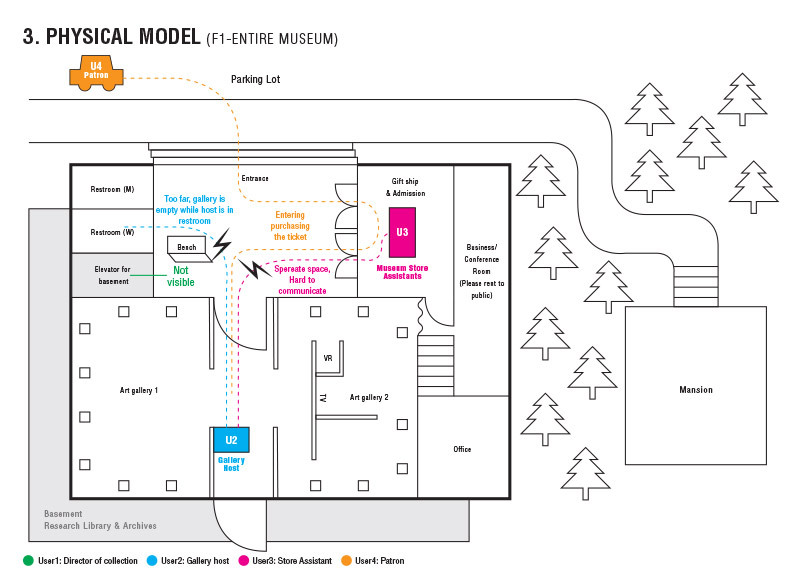 I also conducted a series of in-depth observations from different locations in the museum. The locations of these observations are as follows: entrance, art gallery, library and mansion. Through these sessions, I was able to effectively understand how physical spaces influence an individual’s engagement and prevent an individual from accomplishing a task. In addition, these sessions also helped me understand the organizational structure and the formal/informal power dynamics at the museum. In the second session, I conducted the semi-structured interview with three different types of users. The first person is the Director of Collections, who is involved in creating the gallery space. The second person is a volunteer who serves as gallery host and spends most of her time engaging with other workers/patrons, as well as the physical space. The third are patrons who visited this museum as an end user. The purpose of my interview is to understand the physical space’s infrastructure from the point of view of those who are engaged with this space continuously. The in-depth interview provided me with the unarticulated aspects of the work, from an individual’s perspectives, and it helped me understand how a broad funding system aligns or misaligns with an individual’s goals and needs. 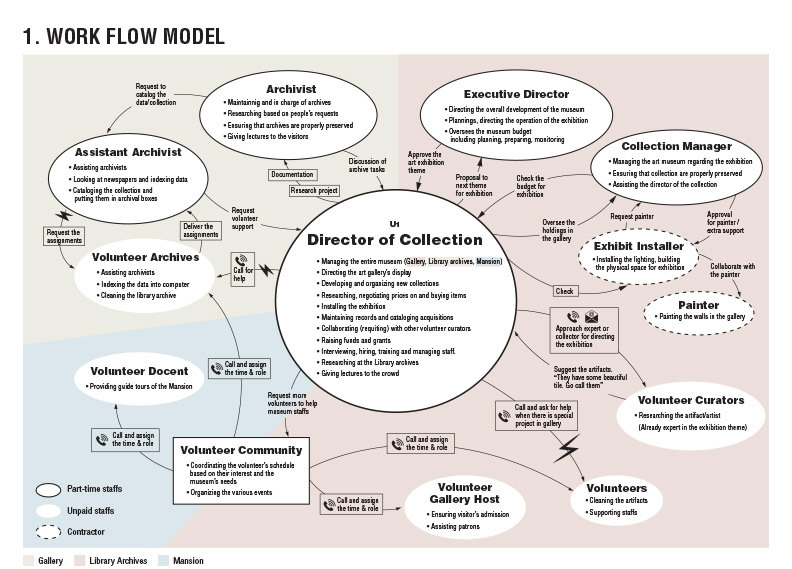 The workflow model is the most common model among the contextual inquiry models that has helped me grasp a comprehensive overview of the museum. Interviews with staff members at the museum provided me with a sense of organizational hierarchy and revealed how individuals are linked to one another. I collected diverse forms of data and multiple perspectives within the workflow that allowed me to create the following diagram. very tricky. But I was able to understand people’s intentions, and what they really think instead of making pre-structured assumptions in that regards. When I conducted interviews with one of the volunteers who was stationed as a gallery host, I found many nonverbal cues that were misaligned with what the person was actually telling me in the interview. 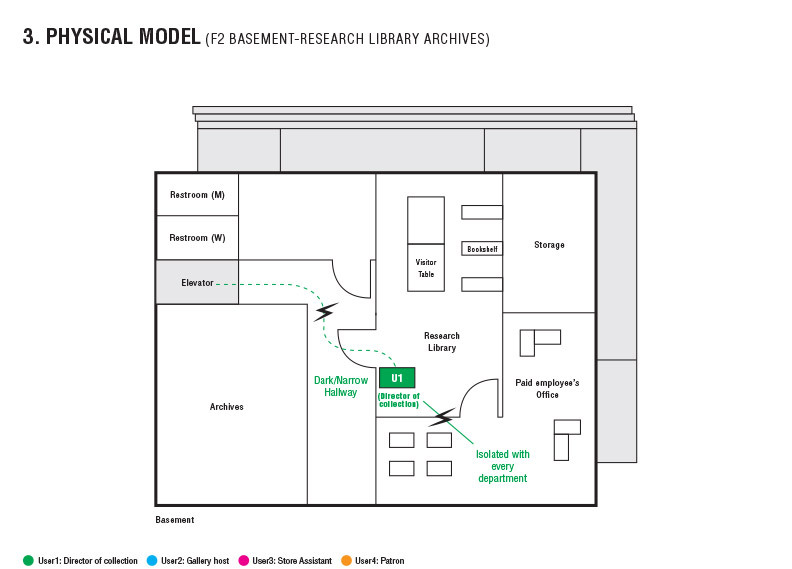 The physical space diagram represents how users have structured their environment to achieve their goal in relations to the role, location, and perspectives in the same space. Furthermore, it helps to understand how space (i.e wall, layout, color, open/cluttered space, size etc) affects people’s engagement and breakdown. 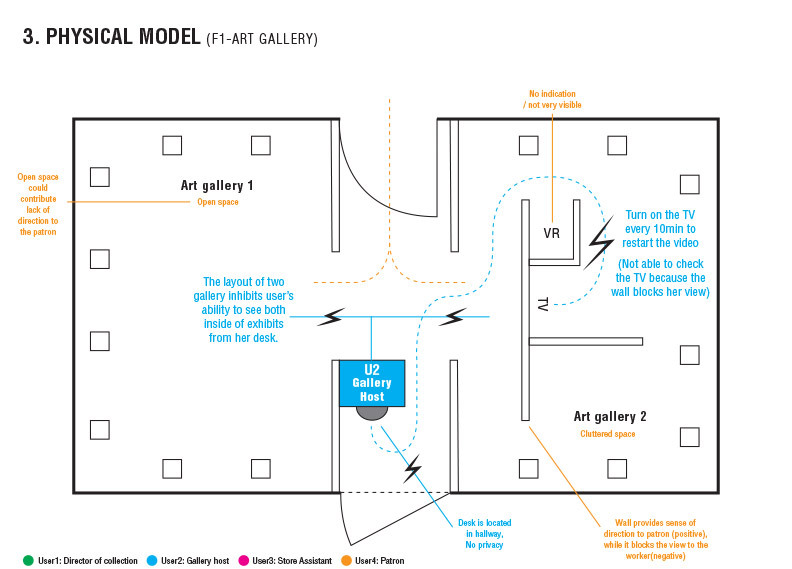 In addition, creating the graphical version of physical space helps to reveal how physical space aligns with my workflow in the cultural model presented above. Findings and recommendations are only available upon request. Please email me if you are interested to read more details.